YA Scavenger Hunt – Team Purple Stop! Hello all! Welcome to the next stop on the 2015 Spring #YASH! If you’re here, you’re competing to win the awesome prizes for Team Purple! If you’re new to the #YASH the rules are simple. You just need to check out each hosting blog for each team and find the secret numbers hidden in the post. 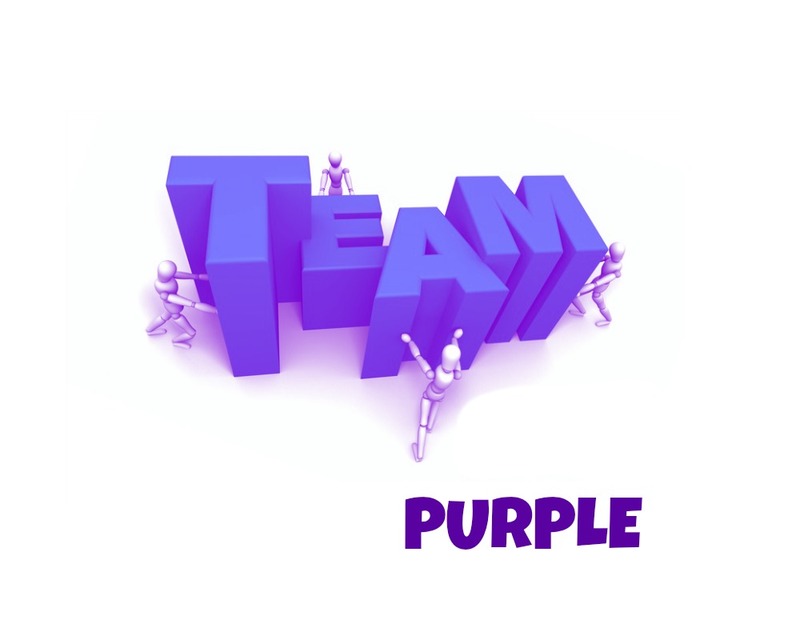 Hint: for Team Purple, our numbers will all be in PURPLE! Then add up all the numbers and enter your answer here. Make sure to double and triple check your answer because only correct answers will be entered to win. If you keep going on the hunt you will find a never-before-seen scene from my upcoming release: AGE OF BLOOD – the final installment of the ASH AND RUIN TRILOGY! 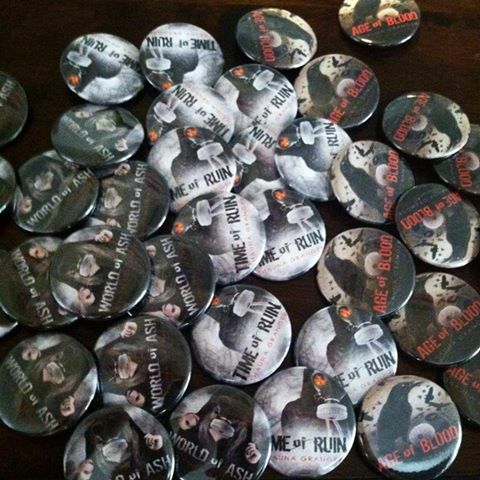 And for those of you who are fans, I am giving away three sets of pin-back buttons, all you have to do to enter to win is follow the options on the rafflecopter below! Aided by Tia, her neurotic roommate, and Dr. David Pierce, a ghost-hunting professor, Jess must unravel the mystery behind her hauntings. But the closer she gets to the truth, the more danger shadows her every move. 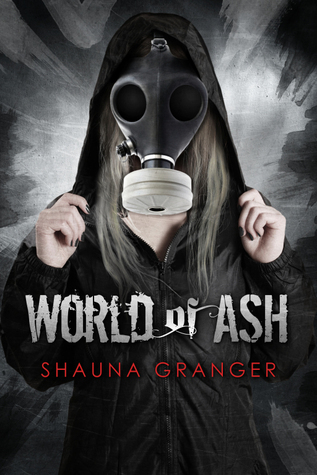 An ancient secret, long-buried, is about to claw its way to the surface, and nothing can prepare Jess for one terrifying truth … her encounters with the world of the dead are only just beginning. Spirit Legacy is the award-winning first installment in The Gateway Trilogy by E.E. Holmes. Shauna here: I do love trilogies. As I said above if you find my exclusive content on this hunt, you’ll see I’m promoting a trilogy as well. Maybe it’s because trilogies are told in threes and 3 is my favorite number. About the author: E.E. Holmes grew up in Wakefield, Massachusetts, where she spent the majority of her childhood reading books. She read them all the time, and, as a result, perfected the art of walking and reading at the same time, a skill she can still perform to this day with remarkably few instances of falling on her face. She also wrote many books and poems in blank books and on the backs of legal pads her father brought home from the office. They remain some of her finest work. She discovered a love of theater in high school. Her books were jealous at first, but they soon realized that she would always love them too. She earned a B.A. in Theater from College of the Holy Cross. After graduation, she set out to prove that her degree was, in fact, not useless, and worked as an actor in a summer Shakespeare festival and as a theater teacher, directing over thirty productions and numerous workshops for youth and high school students. She spent seven years as the theater director at Wakefield High School where she also taught English literature and public speaking. It was in her classroom that she discovered the horrible truth: a disturbingly large percentage of high school students hate to read. This revelation devastated and bewildered her. 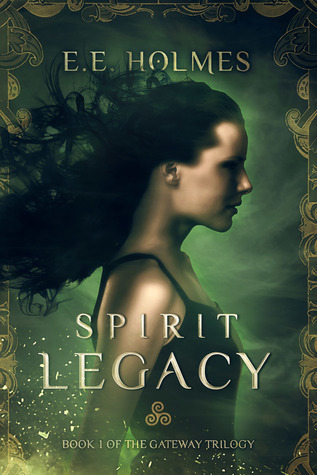 She decided she wanted to do something about it, and thus she started work on her first young adult novel, Spirit Legacy: Book 1 of the Gateway Trilogy, published in 2013. The book went on to win First in Category in the Dante Rossetti Awards for Young Adult Fiction and the Paranormal Awards from Chanticleer Book Reviews and Media. Spirit Prophecy: Book 2 of the Gateway Trilogy, was released in 2014. The series enjoys a rampant readership both in the US and the UK, and regularly enjoys time at the top of its categories on both Amazon and Amazon UK. E.E. 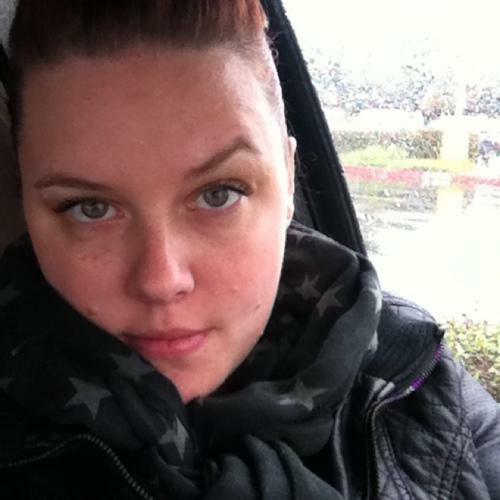 Holmes lives near Boston with her husband, two children, and small, but surprisingly loud, dog. 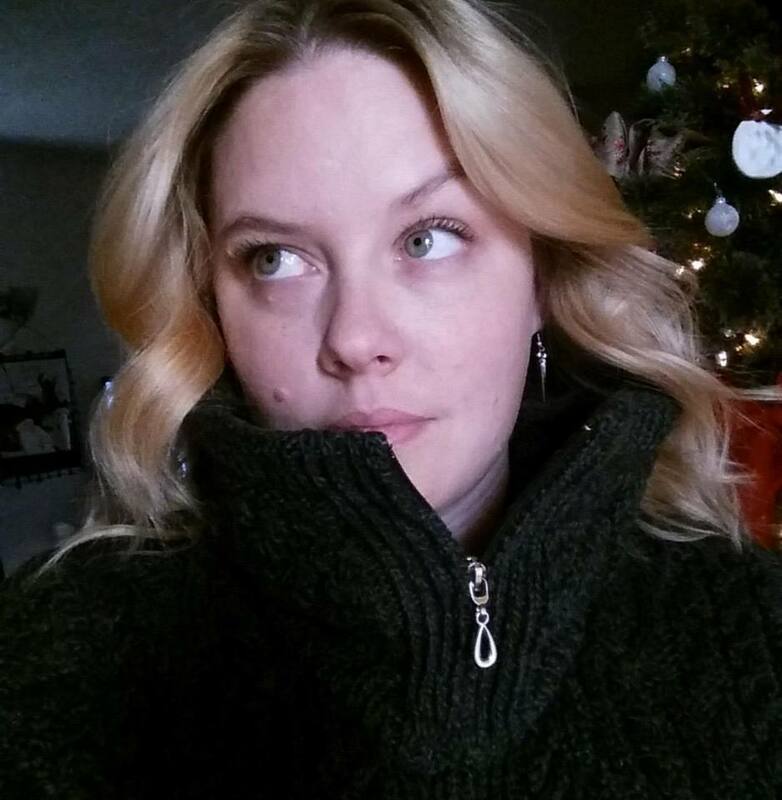 When not writing, she enjoys watching unhealthy amounts of British television, procrastinating, and rediscovering her favorite books from her childhood all over again with her children. Her next projects are Spirit Ascendancy :Book 3 of the Gateway Trilogy, due for release in 2015, and another as-yet-unnamed YA series. Here is the awesome exclusive content! Originally Spirit Legacy was written as a Victorian Gothic novel before being re-written for present day Boston. If you’re a fan of the series, you’d probably like to see what that would have been like. So here is a scene from the original version set in London! Future lessons with Madam Mishka brought no hitherto undiscovered wells of musical talent bubbling to the surface. On the contrary, Lucy felt so discouraged with the futility of the whole affair that her weekly singing lessons had become associated with a feeling of utter despair. And so it was on a sparkling winter morning in January, after three months of humiliation, that Lucy found herself dragging her unwilling feet yet again to the bright little room off the parlor, where the undaunted Madam stood waiting for her, smiling as though they were not about to endure an hour of torture. “Ah, yes, good afternoon, my darling Lucy! And how have we done with our music this week?” Madam purred indulgently. “Oh, um… well, I tried of course,” Lucy faltered, trying to flatten her sheet music onto the waiting stand; it kept reforming itself into the tight little cylinder she had nervously rolled it into. Lucy, who had stood with her back against the wall and a volume of Italian art songs balanced precariously on her head every day for a quarter of an hour, merely nodded. “Very good, my darling. Then we continue!” She raised that blasted walking stick. Bang. Mr. Meekins began to play and Lucy fumbled her way through Caldara’s Sebben Crudele, hoping her careful pronunciation of the Italian would somehow make up for her complete lack of tone. She felt guilty as she listened to what would have been a lovely piano piece, were it not for her interference. “Yes, darling, yes! But you must remember that this song is about the unendurable pain of unrequited love! Again, and I want you to feel the cruelty.” Bang, Bang! Wondering if the Madam could possibly mean the angel of death, Lucy left and returned with the heaviest book she could find in her mother’s bookcase. It was covered in a tattered green fabric; the gold embossed words on the binding proclaimed it to be a volume of The English Horticultural Companion. She reluctantly spent the next twenty minutes against the wall, singing scales as The English Horticultural Companion balanced on her head. Heaving a sigh of relief, Lucy relaxed her body, the book slipping sideways off her head and landing splayed upside down on the floor, where she would have been contented to let it stay forever. “Really? Do you think we sound alike?” Lucy highly doubted this, as she had heard her mother hum many a pleasant tune. “This book?” Lucy pointed down at The English Horticultural Companion, her eyebrows raised in surprise. Lucy looked down at the book again. It seemed an odd choice for a young girl to be fascinated with. Lucy stopped listening. She picked up the book and examined the cover more closely, running her fingers over the cover and letting it fall open. Her eyes found a sentence at the top of the page. Lucy’s heart began pounding. She slammed the book shut and looked up at Madam Mishka, who was still talking. “Madam, I, um- I think our time is up. I wouldn’t want to be late for my French lesson.” Lucy interrupted breathlessly. “Yes, thank you. Goodbye. Goodbye, Mr. Meekins.” Not waiting for a response, Lucy turned on her heel and walked quickly from the room, breaking into a run as soon as she was through the doorway. Safely in the privacy of her room, Lucy locked her door and curled on the chaise, the faded green volume heavy in her lap. She examined the cover more closely. It was frayed and pulling away from the corners. Black leather peeked through the rough weave of the fabric. Her mother had tried to disguise it; somewhere, Lucy knew, a copy of the real English Horticultural Companion lay stripped of its cover. Her breath coming quickly, Lucy opened the book to the first page. In an old and crooked typeset, the first page bore the following verse. Lucy’s hand hovered over the page, her fingers twitching slightly as she gathered the will to turn the page. With the strange sensation that many eyes were upon her, Lucy turned the page and began to read. Lucy did not go to dinner that night, sending word with Mrs. Spry that she was not hungry. The housekeeper appeared two hours later carrying a tray of food and a pot of tea, which sat untouched on the fireside table. Lucy read through the night, startled only once by the sudden appearance of Dinah, who had slipped in unnoticed and timidly asked if Lucy needed anything. Lucy dismissed her and read on, until the sun had crept under the drapes and the breakfast summons had long since faded away. She sat staring into the dying embers of the fire when a tiny knock sounded on her door. “Lucy? It’s Miranda. Tom’s here too. Can we come in?” The voice was muffled and hesitant. “Yes, come in,” Lucy replied, her exhaustion ebbing away. “And shut the door behind you,” she added, as her cousins appeared in her doorway. “Are you feeling well?” Miranda asked, lowering herself carefully onto the corner of the chaise. “We thought maybe something happened when you didn’t come to dinner last night. And then when you didn’t come this morning…” Tom was staring at her searchingly, as though expecting to see an answer written somewhere on her person. “No, I’m fine. I’m sorry, I didn’t mean to frighten you.” Lucy smiled wanly. “So no visions or unexpected visitors?” Tom asked, crestfallen. “No it’s okay, I’m really fine. I’ve been reading this.” Lucy patted the book still cradled in her lap. “Thinking of taking up gardening?” Tom snorted, sinking into the chair by the fire and helping himself to the cold pheasant. “Why, yes, I am. I find this chapter particularly interesting.” Lucy handed the open book to Tom, who glanced at it, grinning while he chewed. Lucy watched with a slight smirk as his grin faded away, replaced with a look of shock . “What… where did you get this? !” Tom exclaimed, his half eaten pheasant leg dropping unnoticed to the carpet. “Well, did you read it?” Tom’s eyes were flying over the pages. “What is it?” Miranda asked eagerly, appearing over Tom’s shoulder. “It’s a book about… well, ghosts.” Lucy admitted hesitantly. Miranda gaped. “But this is wonderful! Maybe this can tell us what we need to know about Edward and…” Her voice faltered and died as she watched Lucy shake her head. “I’m not sure what to make of it,” Lucy said again, staring thoughtfully into the fireplace. “Why not?” Tom was still thumbing through pages, but Miranda was watching her carefully. “Well, most of it seems to be ghost stories, like the ones they publish in the penny dreadfuls, written to scare people and to give children nightmares. I don’t think those stories have any real basis of fact to them. But then at the end there…” Lucy shook her head. “What? What is it?” Tom prodded, flipping now to the end of the book. Tom found the section and started reading it at once. Miranda was watching Lucy shrewdly. “ You don’t think its reliable?” Miranda asked. “Well I can certainly understand why she would disguise it. Can you imagine Grandfather’s reaction if he saw a book like this under his roof?” Miranda looked frightened at the very thought. “I…yes.” Lucy was frowning now. “I suppose that could be it,” Lucy admitted. “Of course that’s it! It makes perfect sense! What else could it be?” Tom cried, and turned his attention back to the book as though the matter were settled. Lucy had already considered the possibility that this very book was the reason for her grandfather’s animosity toward her mother. She had played the entire scenario out in her mind: her mother as a young girl, reading the book, perhaps in the very same spot where Lucy sat now. Grandfather bursting into the room, eyes blazing, shouting about disgracing the family and shaming the church. It was entirely plausible, and yet Lucy had her doubts. If Grandfather had caught her mother with the book, why didn’t he destroy it? Was simply reading a book of gothic stories enough to create such a rift between father and daughter? No, there is something more to it. “I think we should try it.” Lucy said suddenly. Tom and Miranda both raised their heads at the same time and stared at Lucy as though she had just suggested they all leap from the balcony. “You think we should try what?” Miranda asked, although it sounded as though she already knew the answer. “Communicating. I think we should follow the ritual in the book and see if we can make contact,” Lucy continued with conviction. “Look, I know it’s probably a bunch of nonsense, but what other choice do we have?” Lucy pressed. “But you just said yourself that you thought it was unreliable- a bunch of ghost stories!” Tom exclaimed. I know the Rafflecopter ended early, my apologies for that! There were issues with the widget and I’m away From the computer. But if you leave a comment letting me know you followed on Twitter or liked on Facebook, I’ll count you in the entries for the extra giveaway.